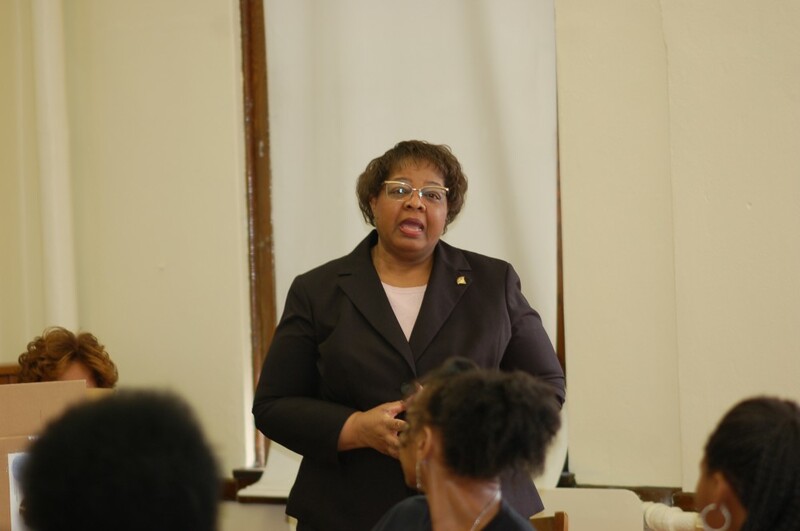 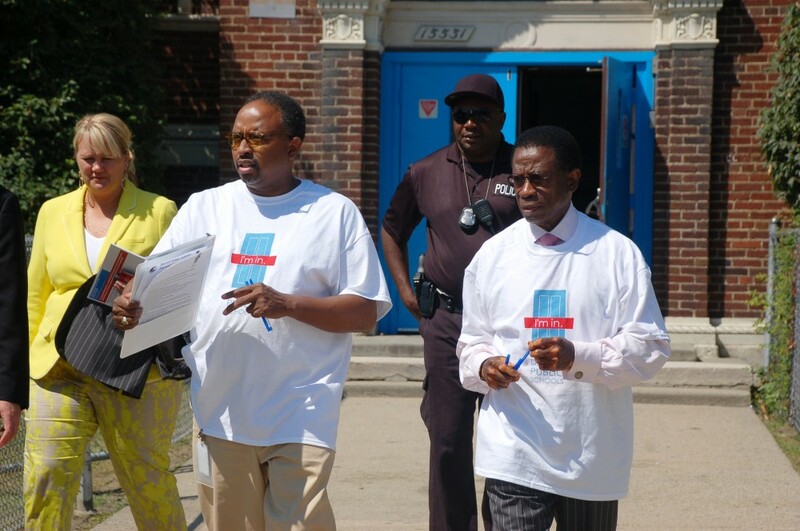 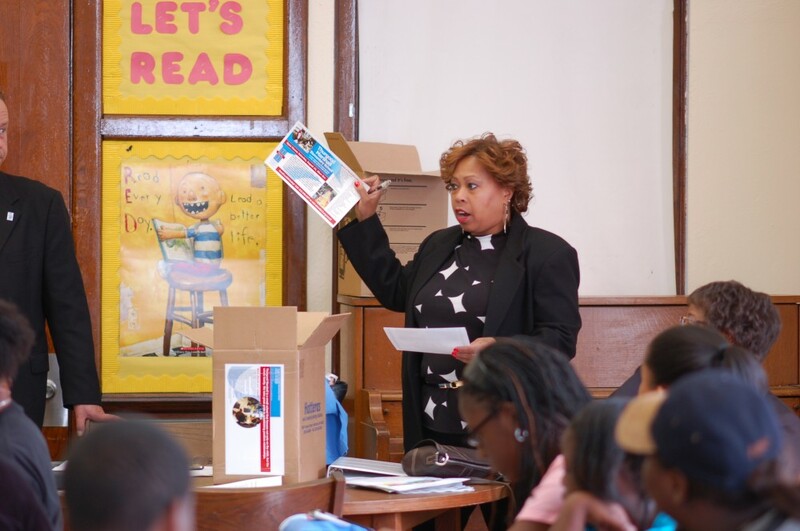 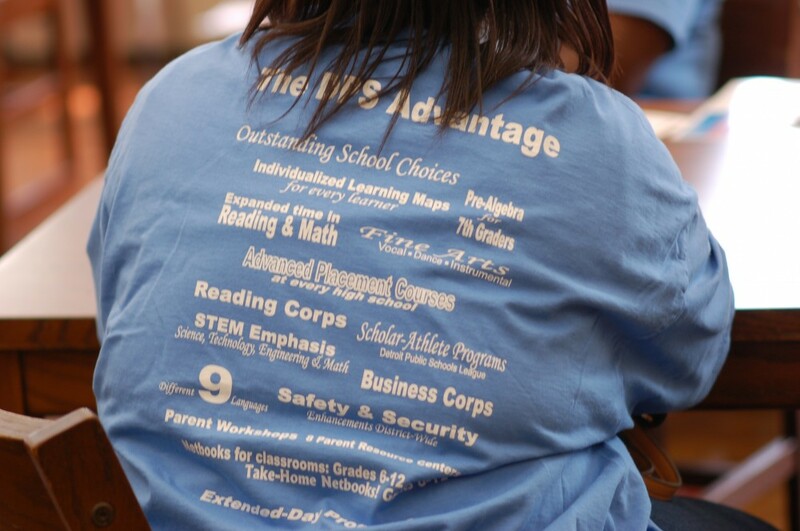 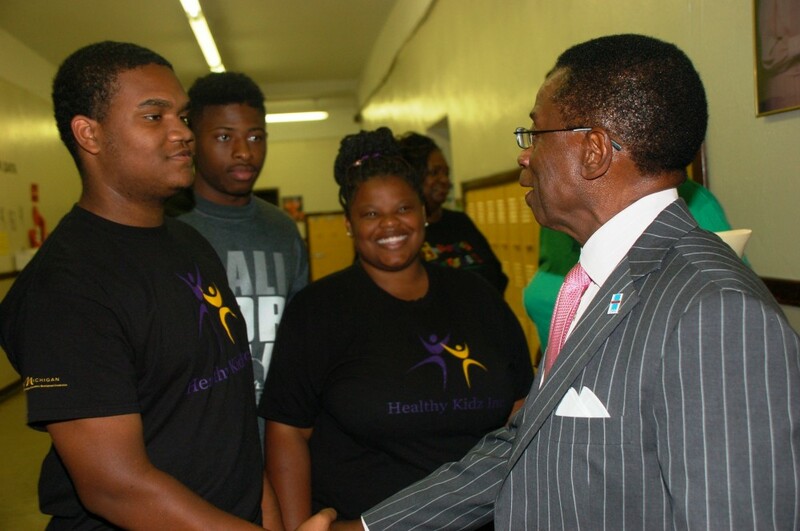 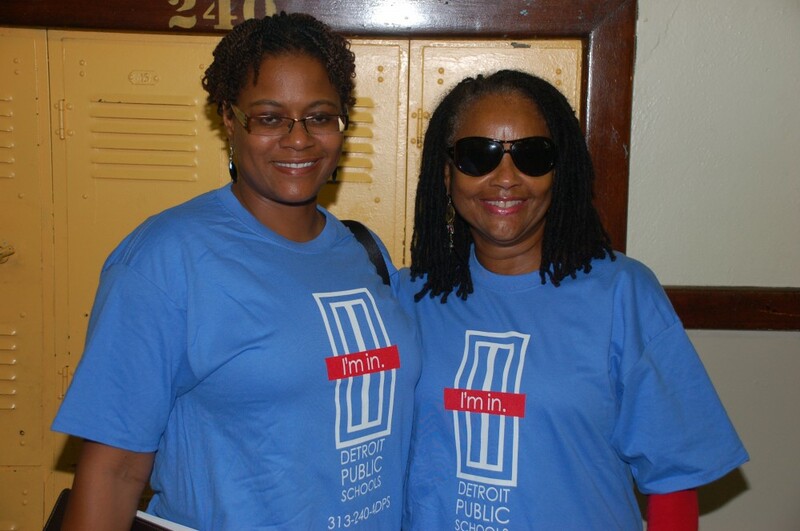 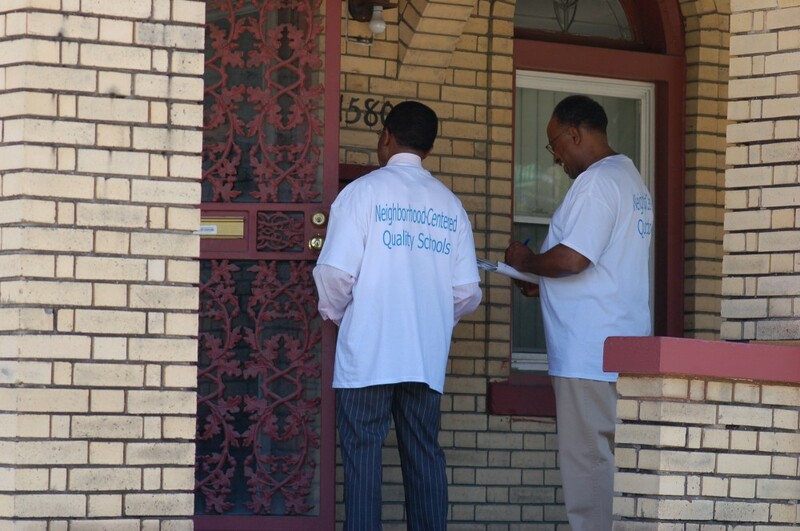 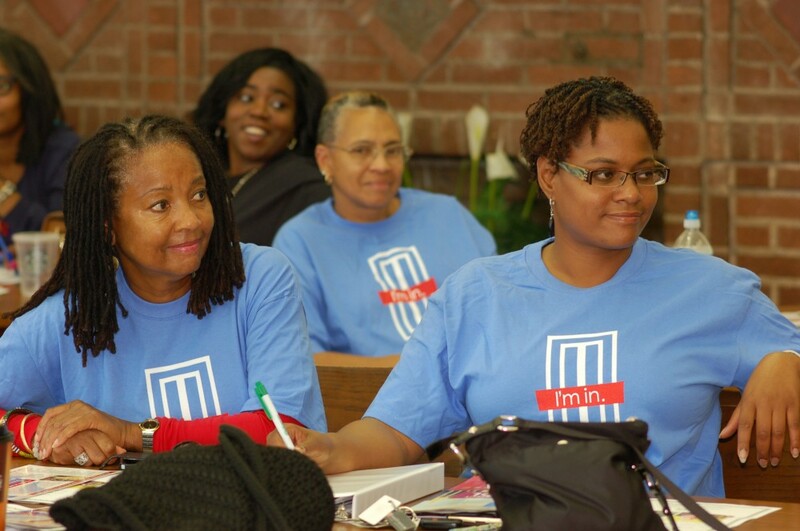 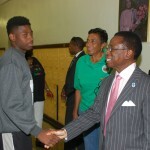 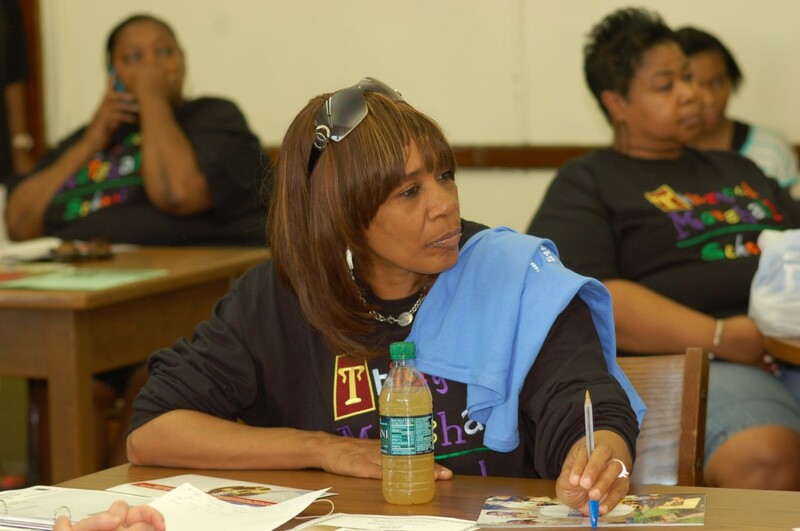 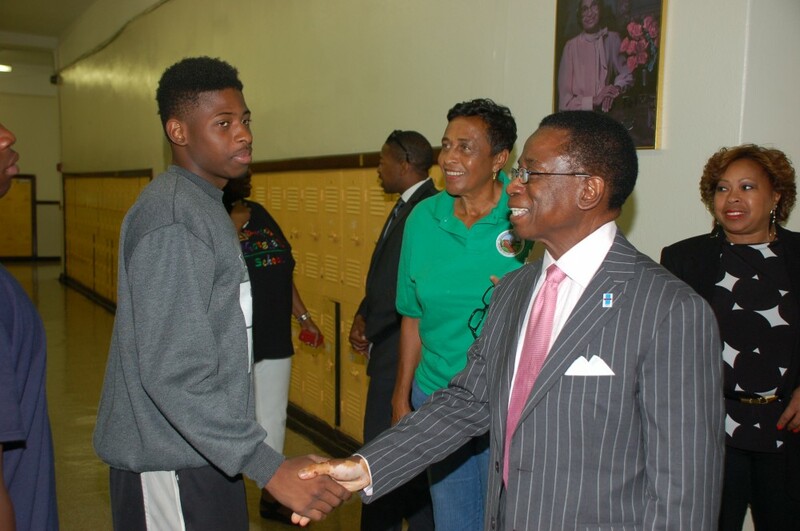 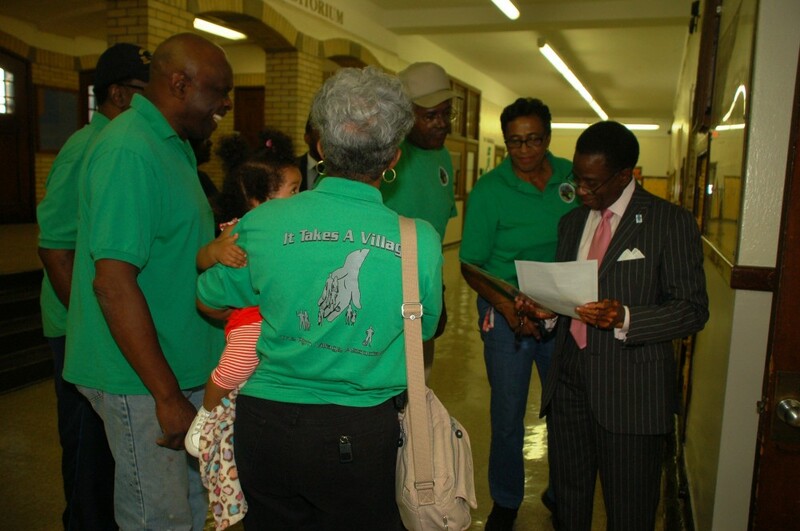 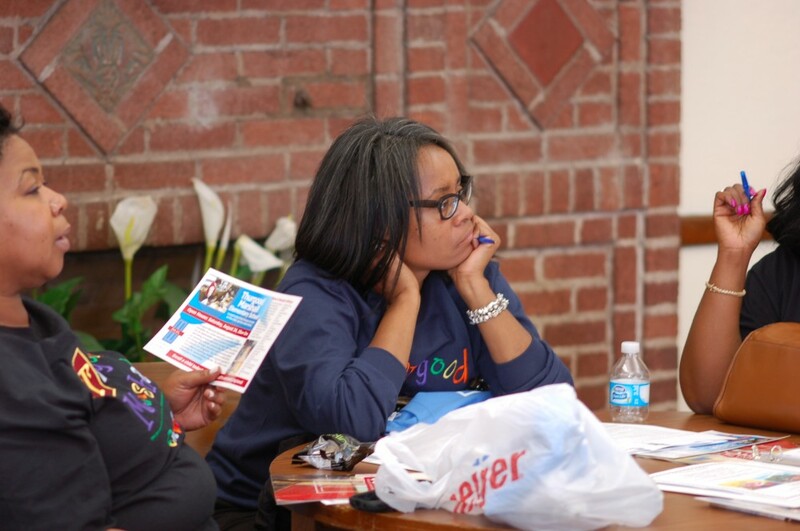 Detroit Public Schools volunteers including teachers, support staff, parents and community partners, are conducting an extensive enrollment drive targeted at attracting 5,000 students to DPS this school year, which begins September 3. 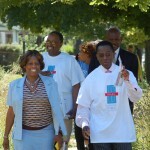 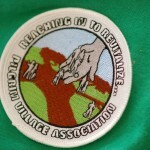 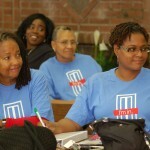 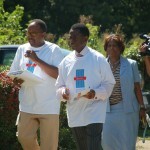 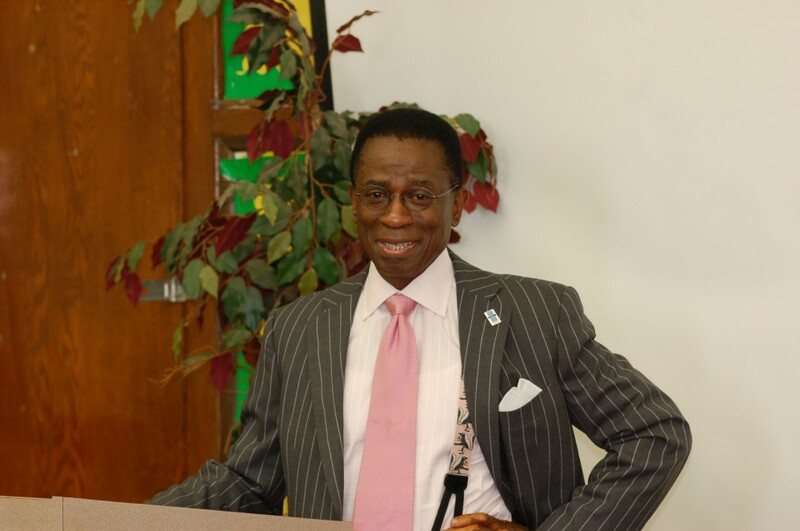 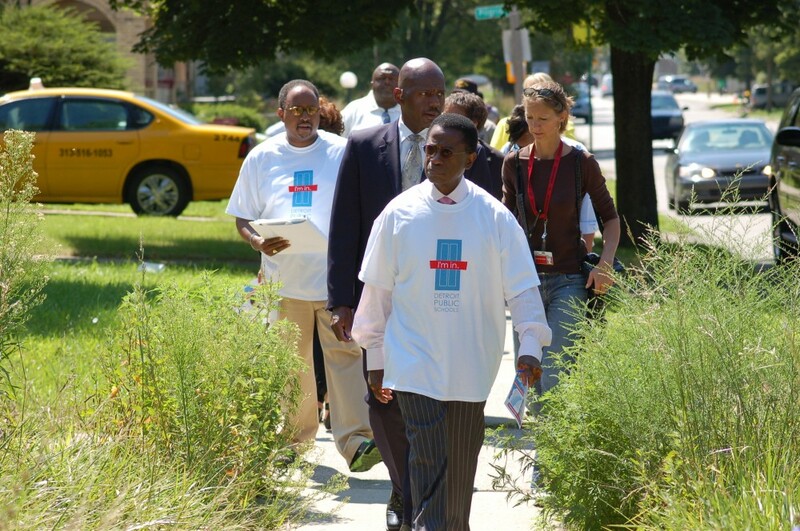 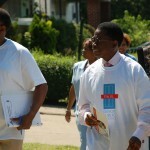 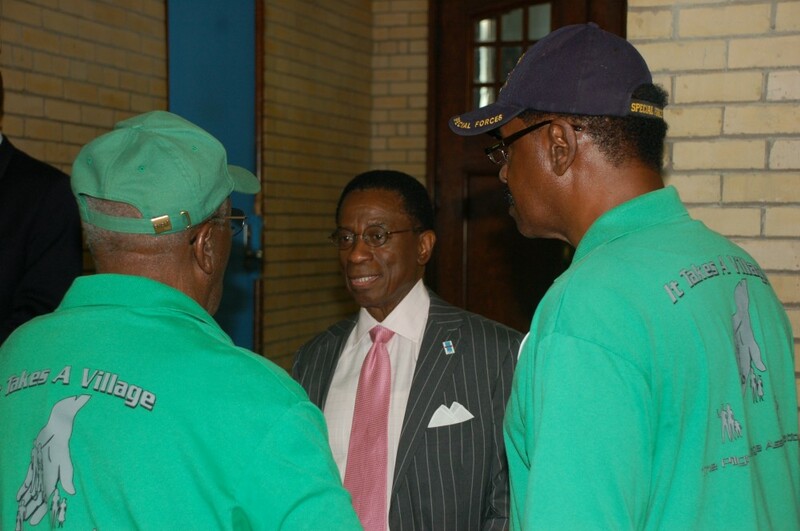 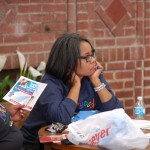 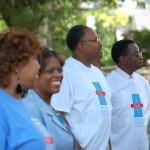 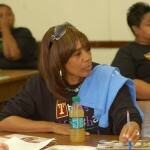 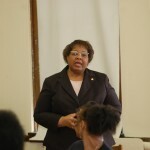 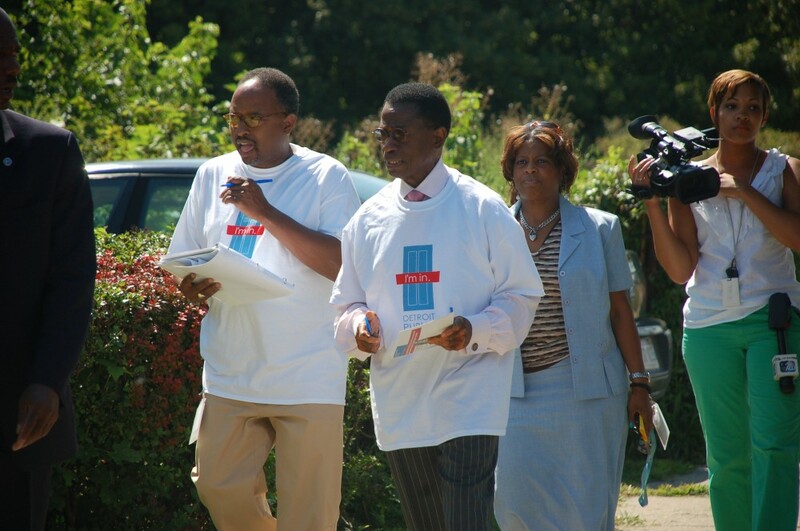 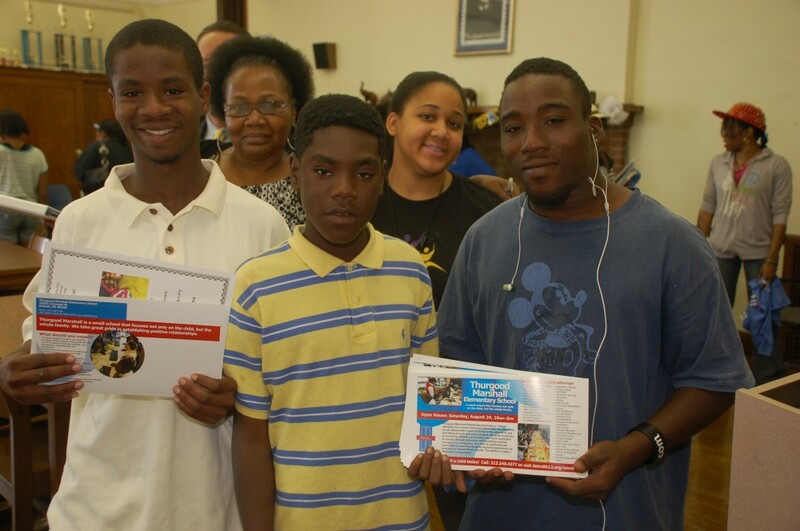 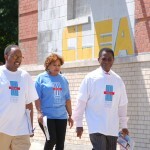 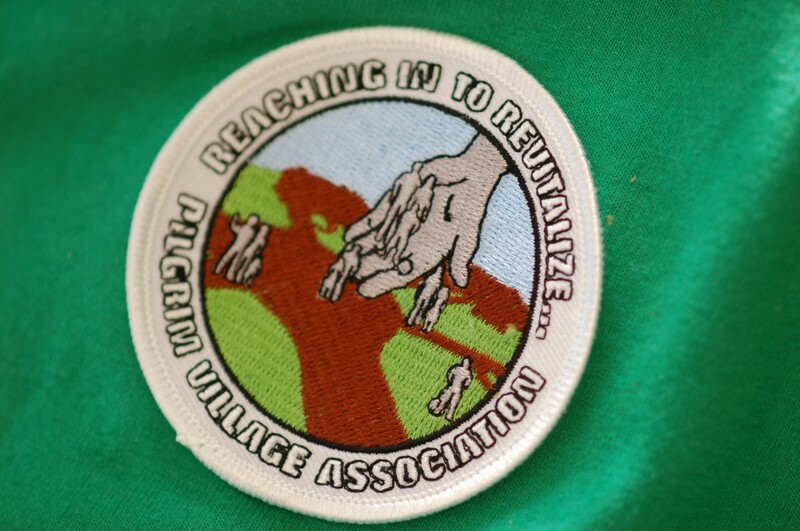 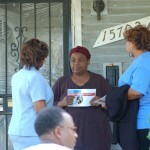 The multi-level campaign includes many events and programs. 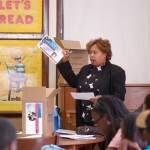 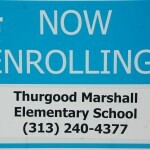 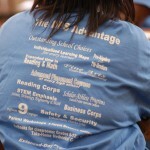 It also includes advertising and marketing all centered on the programs being added this year as a result of the new Detroit Public Schools Strategic Plan (Universal PreK, Arts and Music, Parenting, Enhanced Safety on School Routes, Customer Service, and more), and a focus on communicating and marketing each of DPS’ individual schools through a variety of means, including door-to-door knocking. 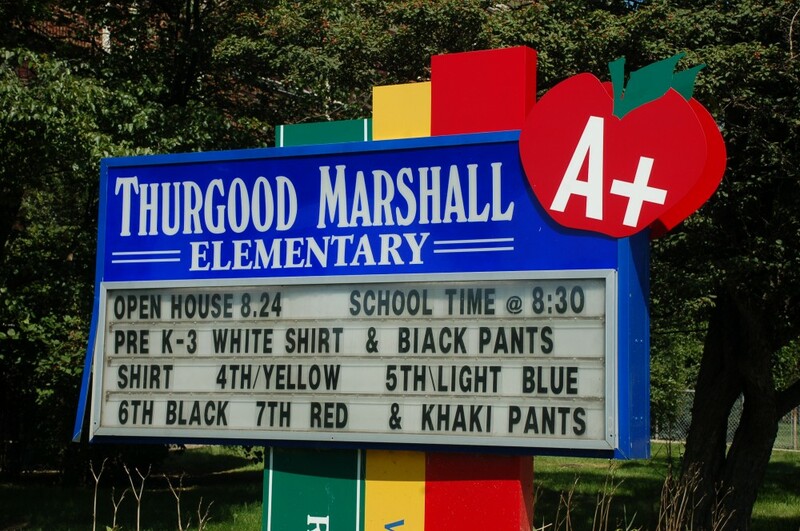 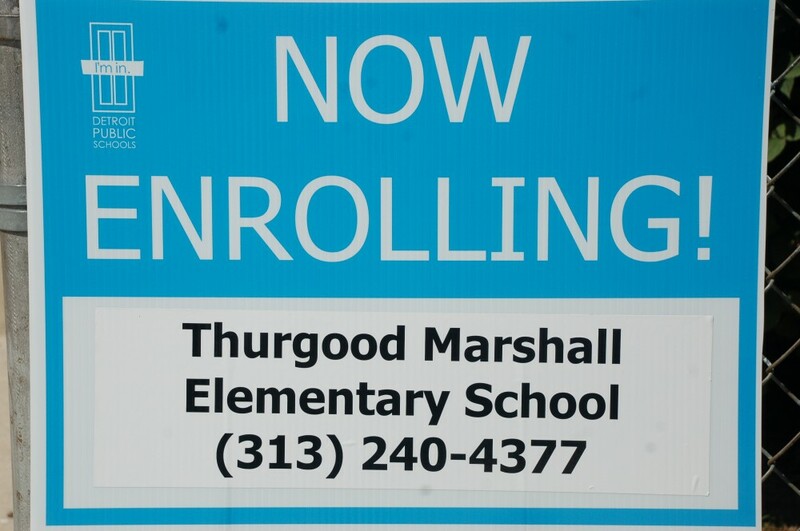 DPS Emergency Manager Jack Martin returned to his alma mater, Thurgood Marshall Elementary School (formerly Custer School) to join school staff and alumni from the 1940s and 1950s to knock on the doors of houses around the school. 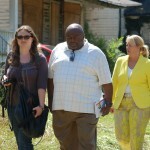 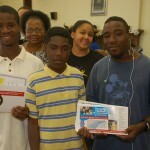 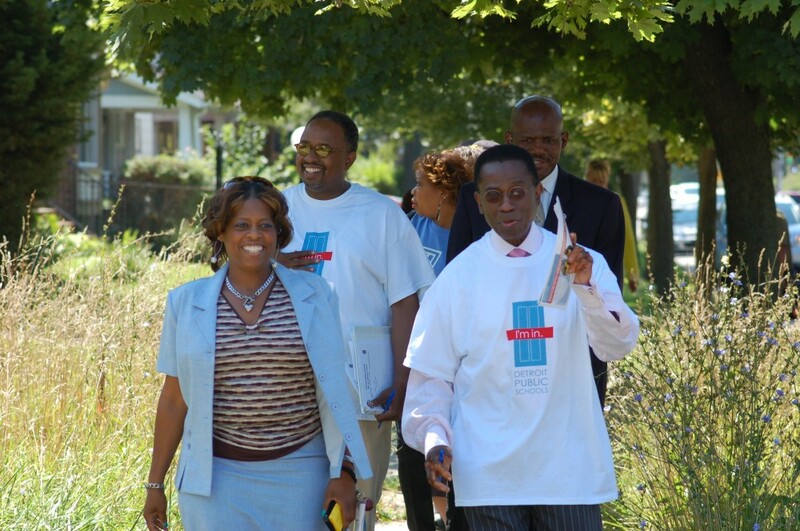 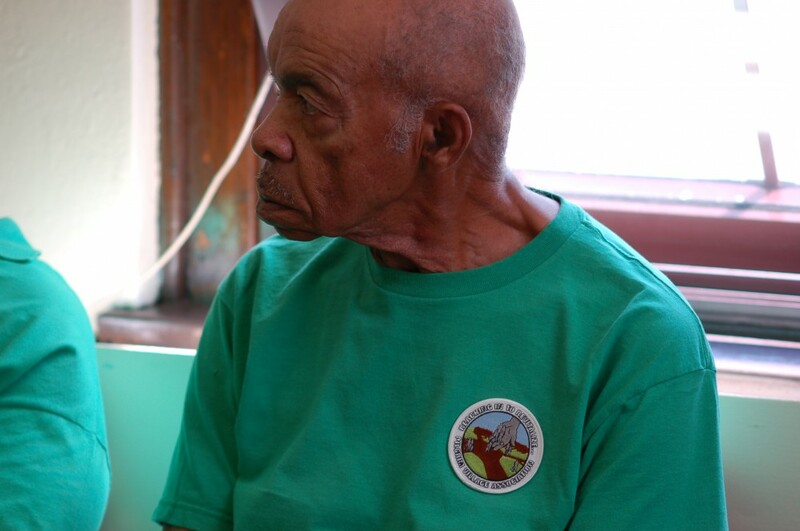 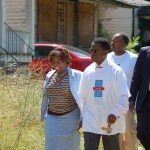 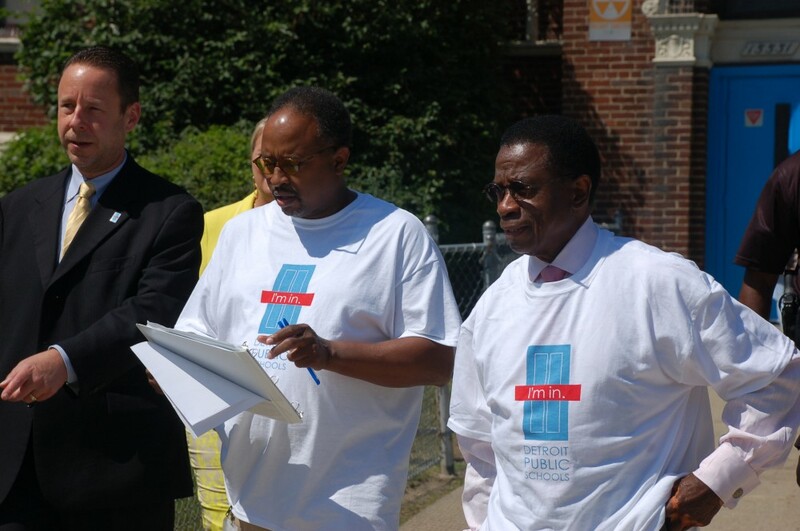 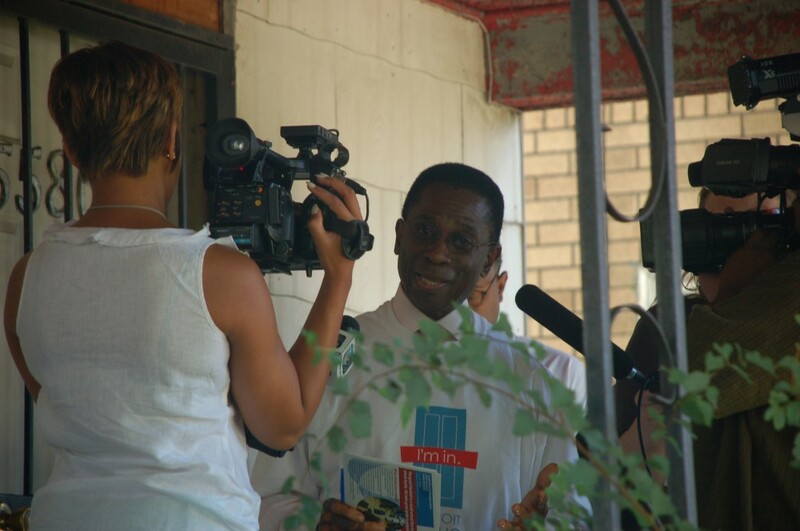 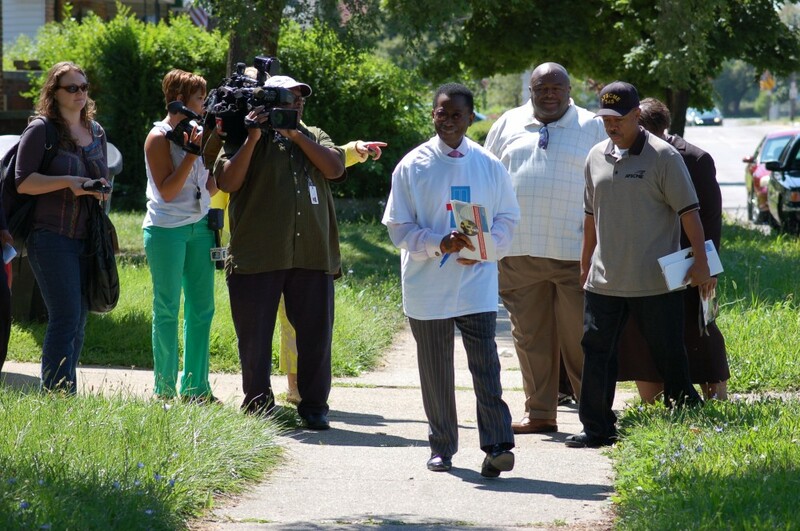 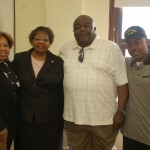 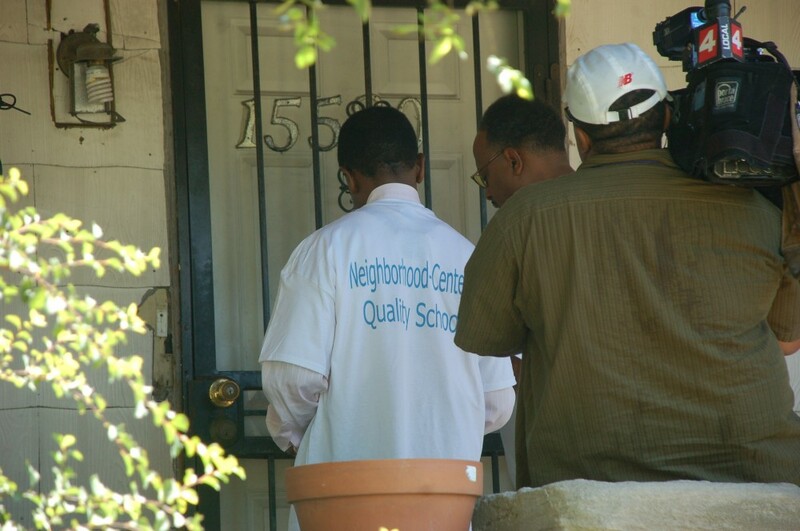 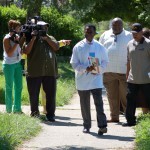 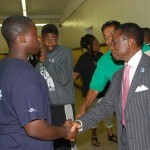 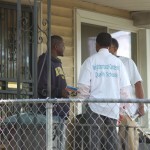 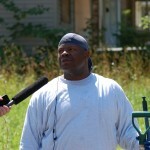 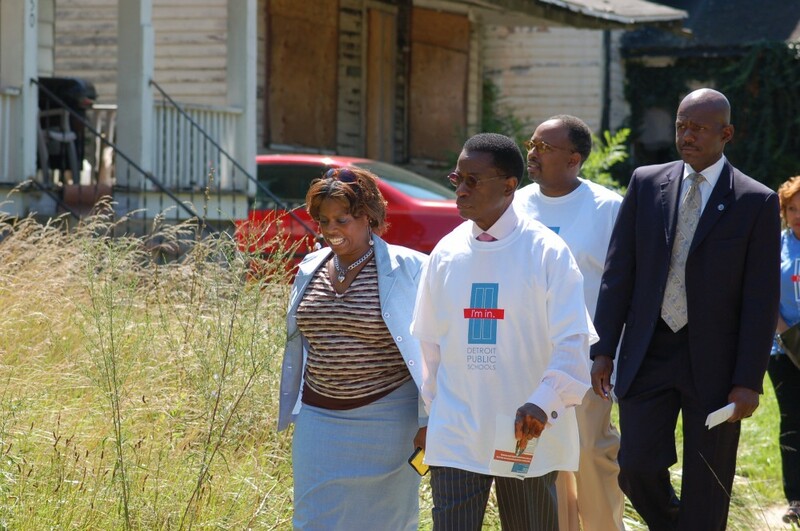 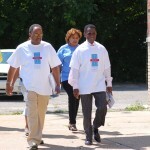 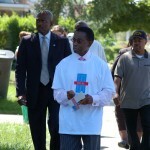 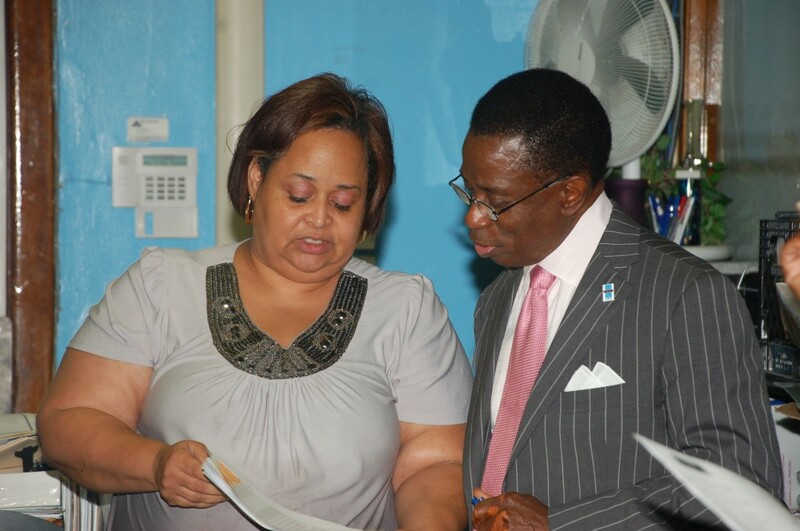 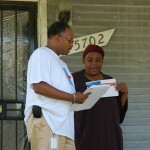 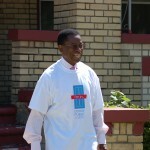 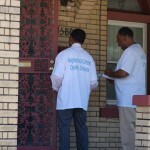 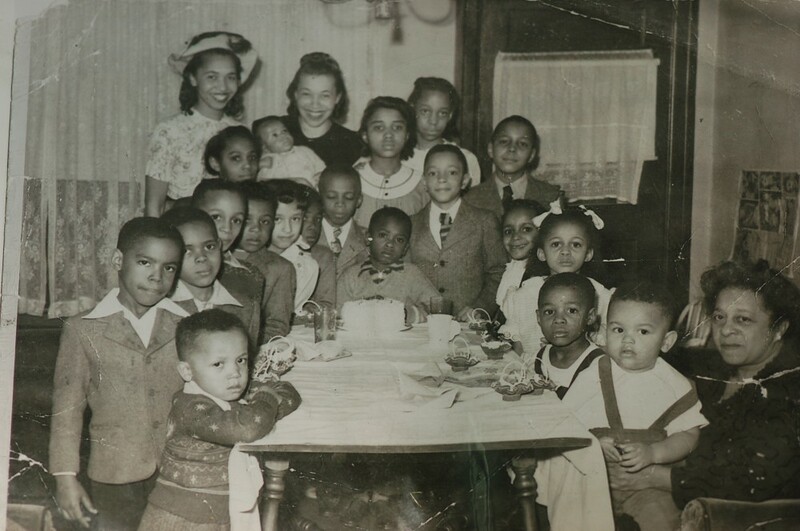 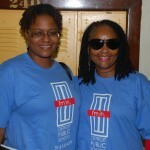 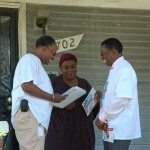 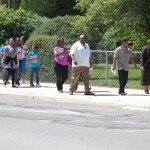 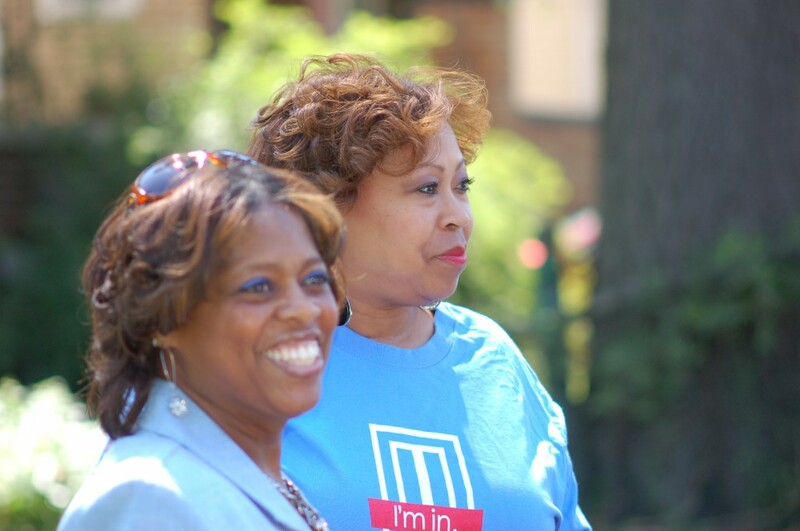 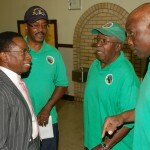 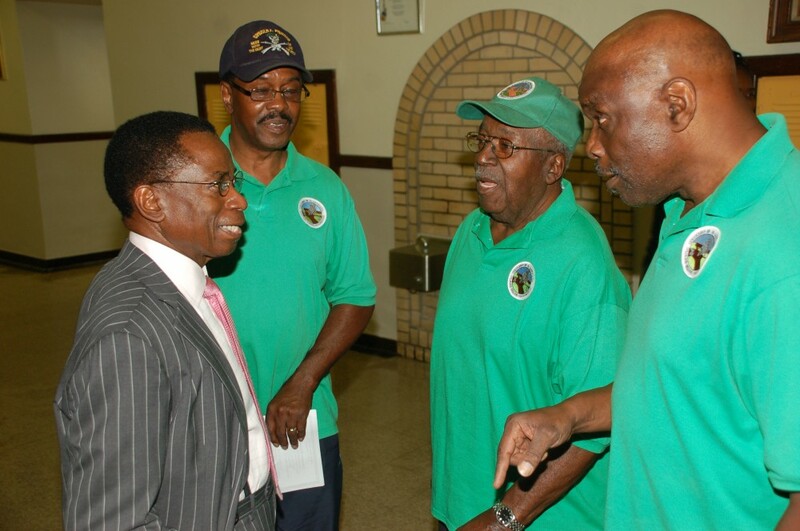 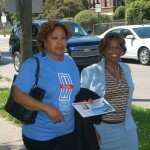 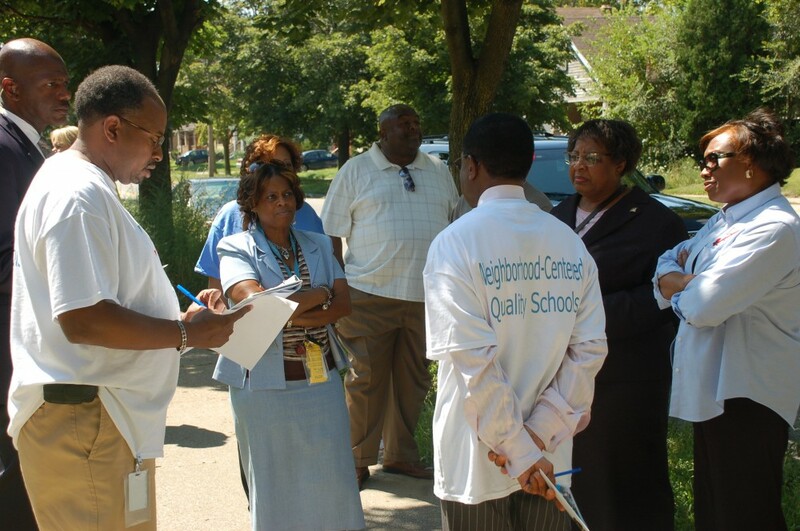 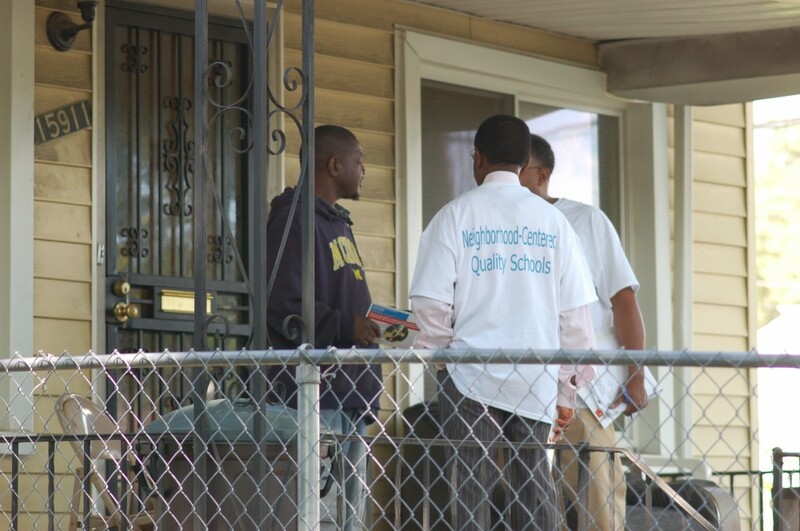 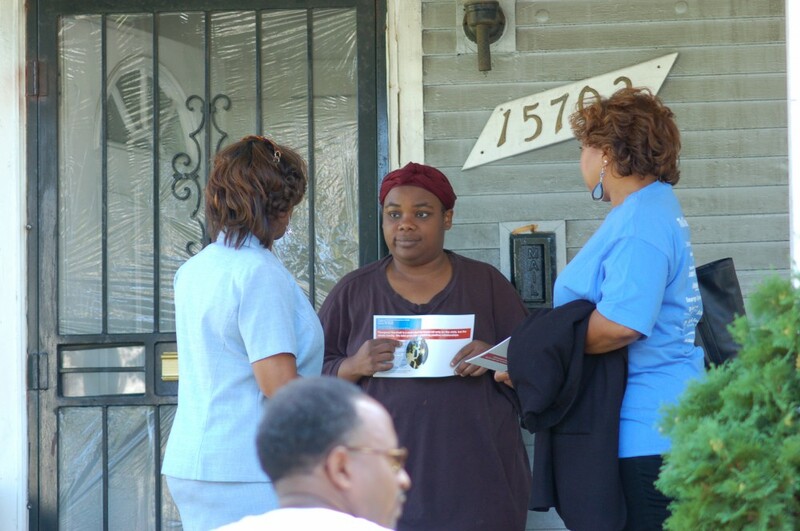 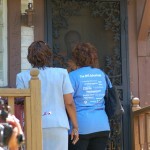 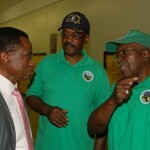 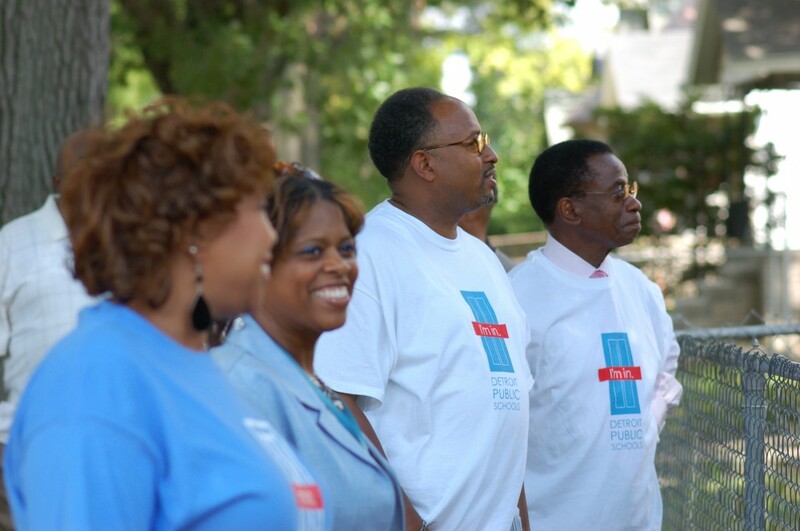 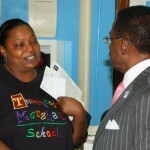 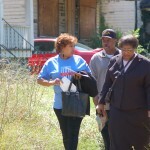 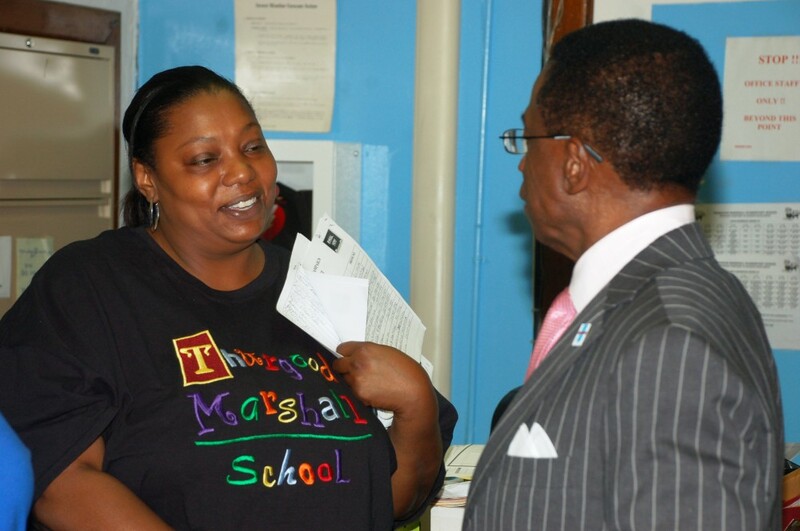 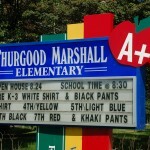 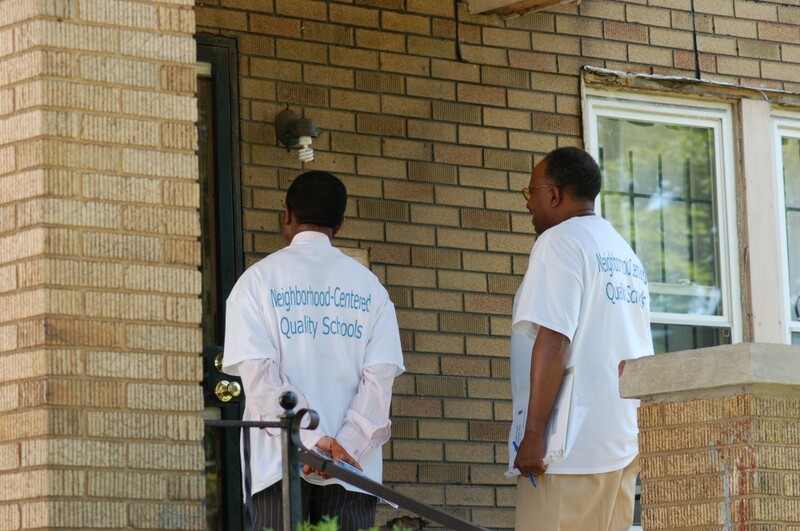 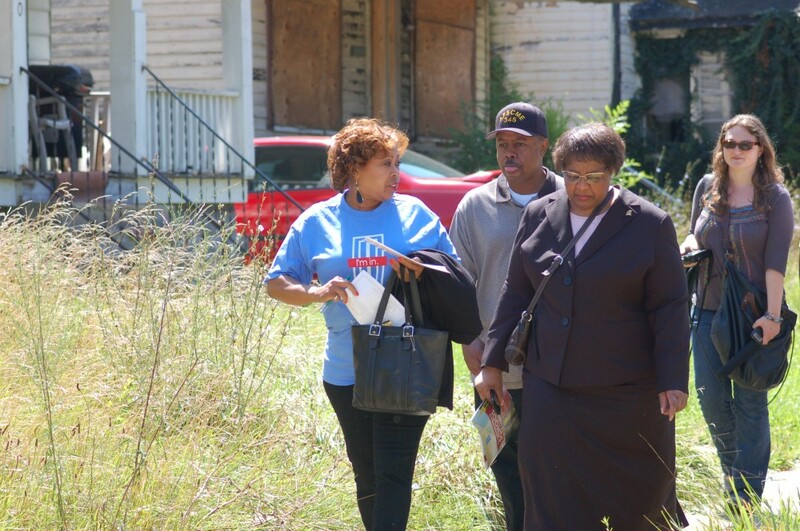 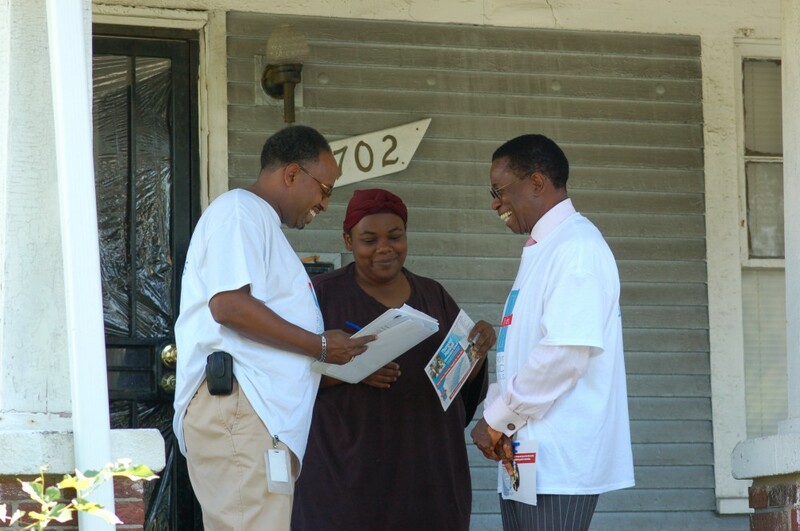 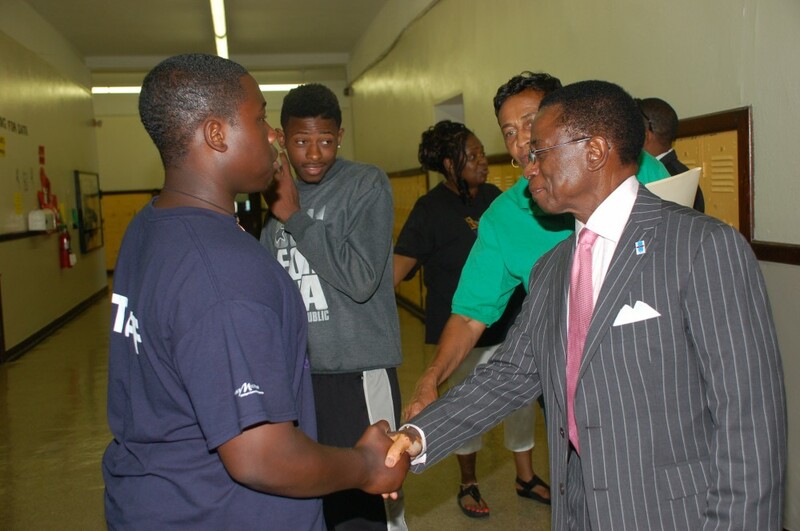 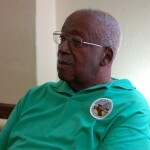 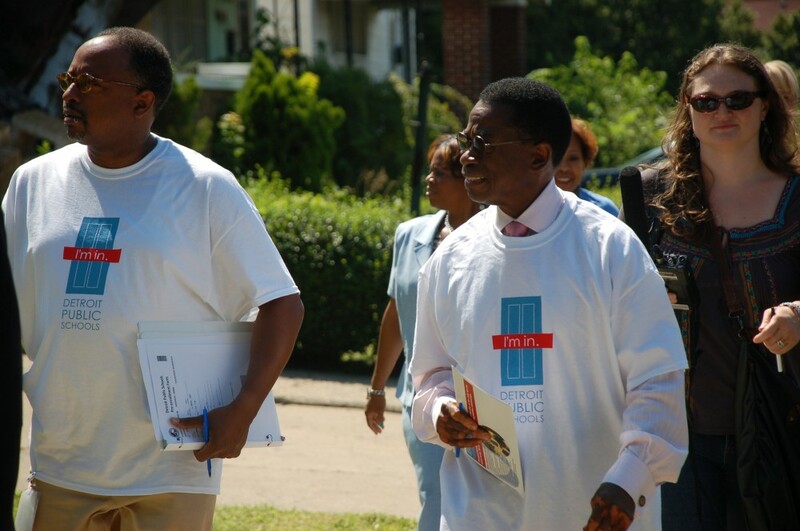 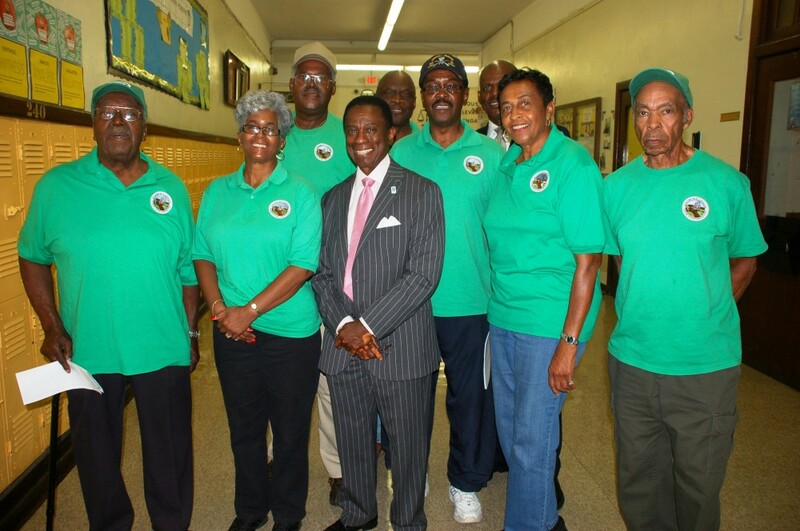 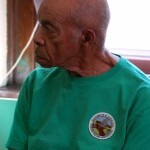 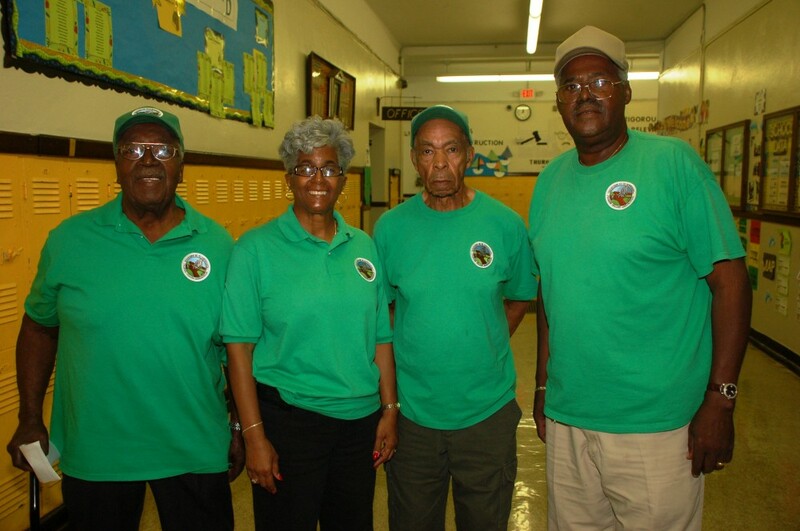 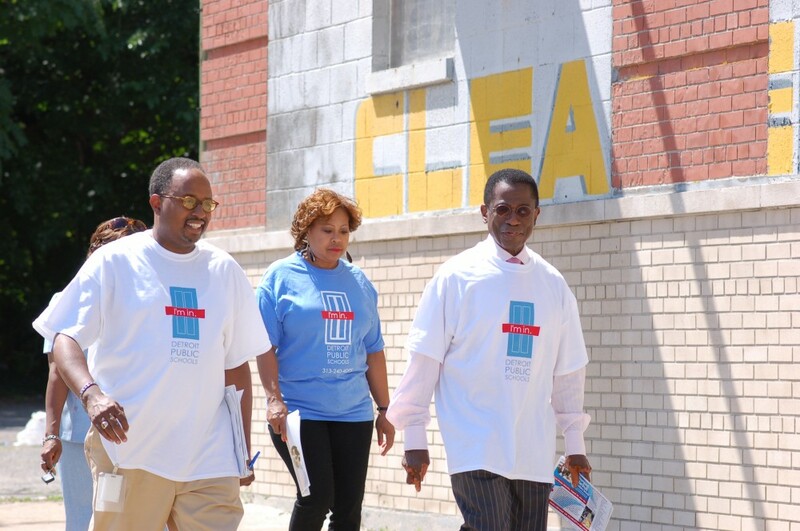 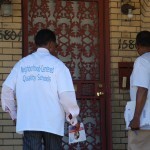 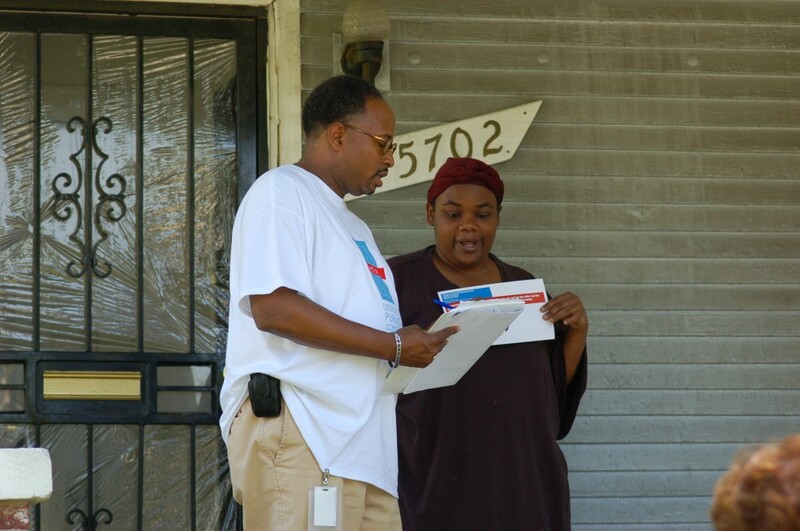 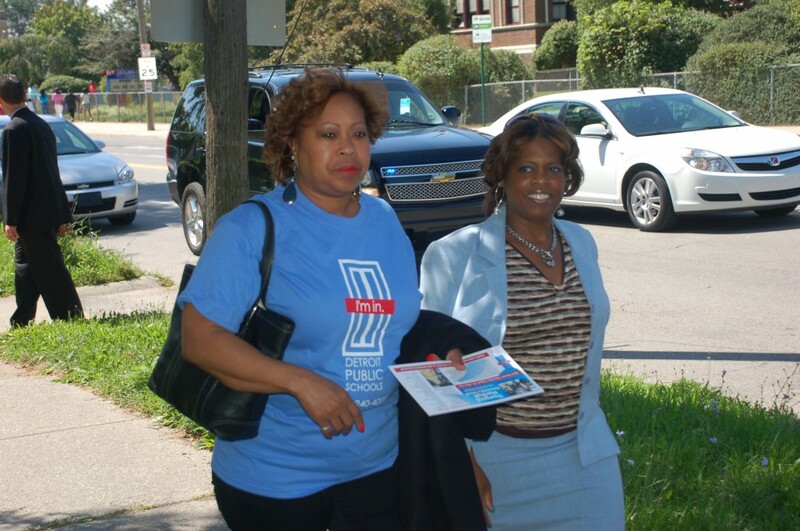 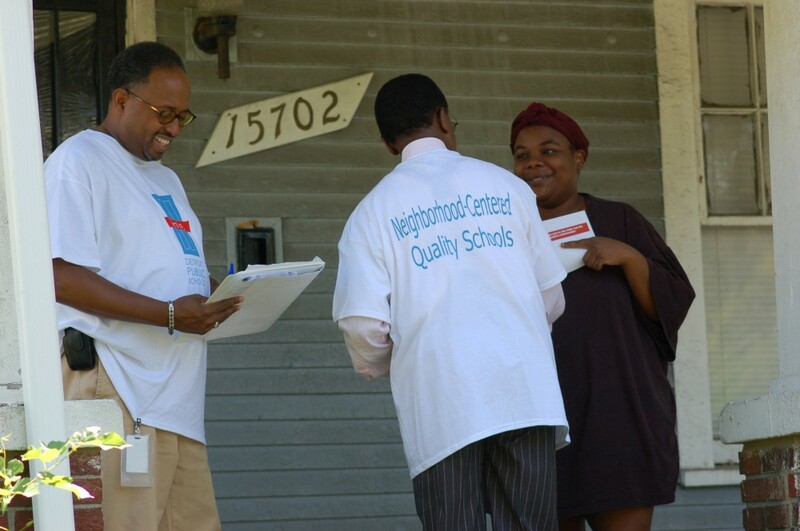 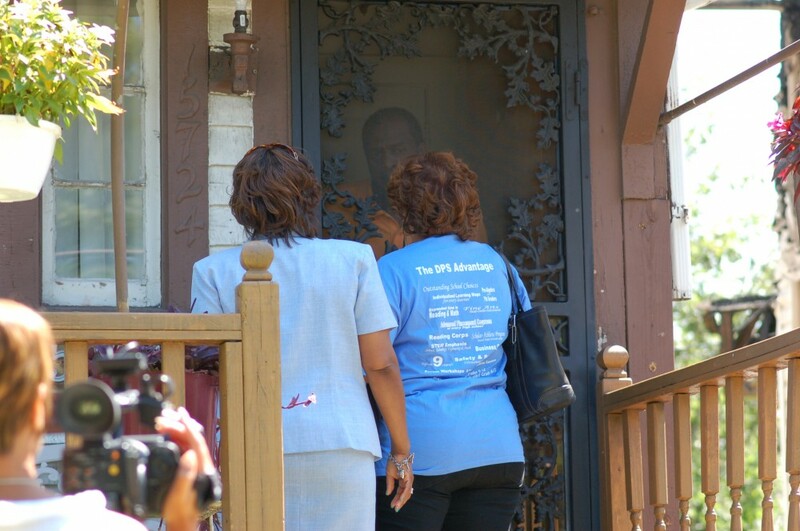 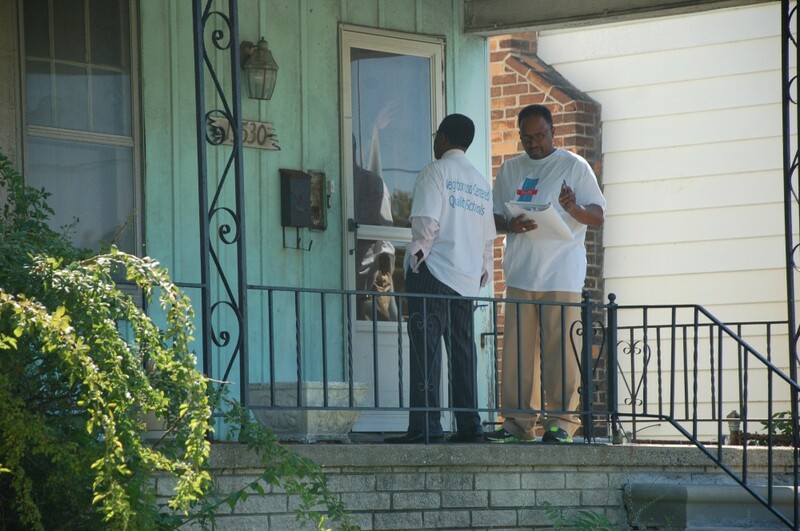 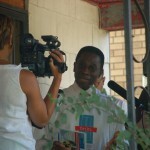 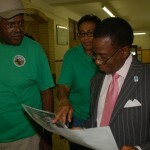 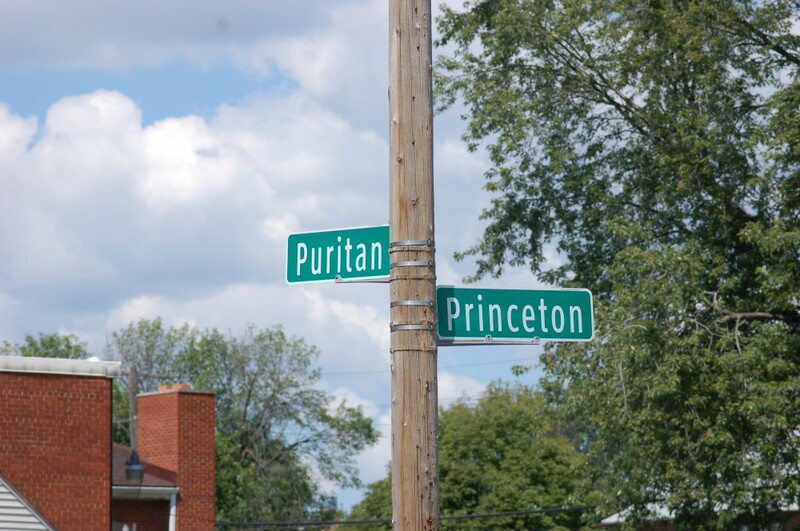 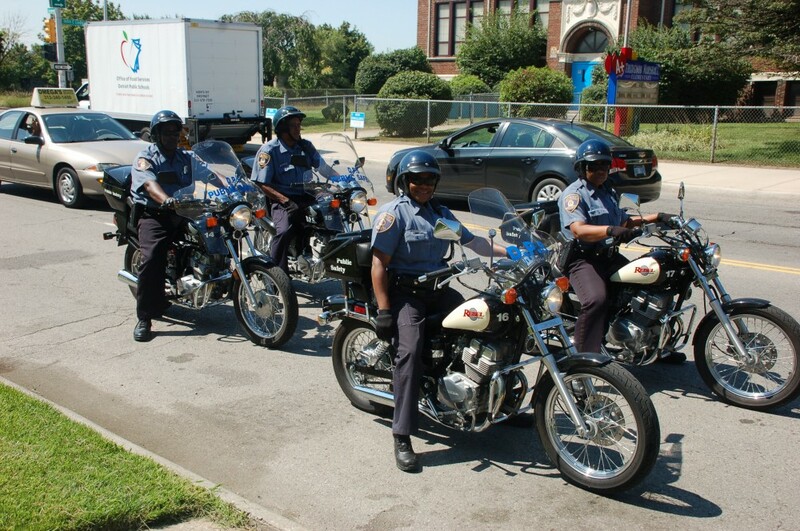 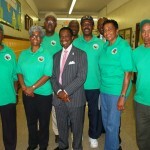 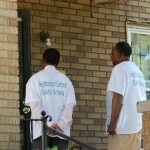 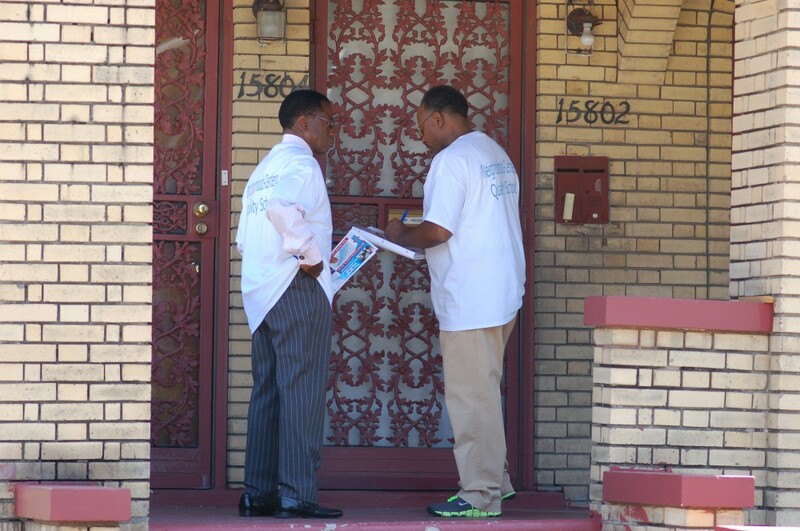 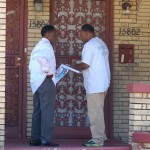 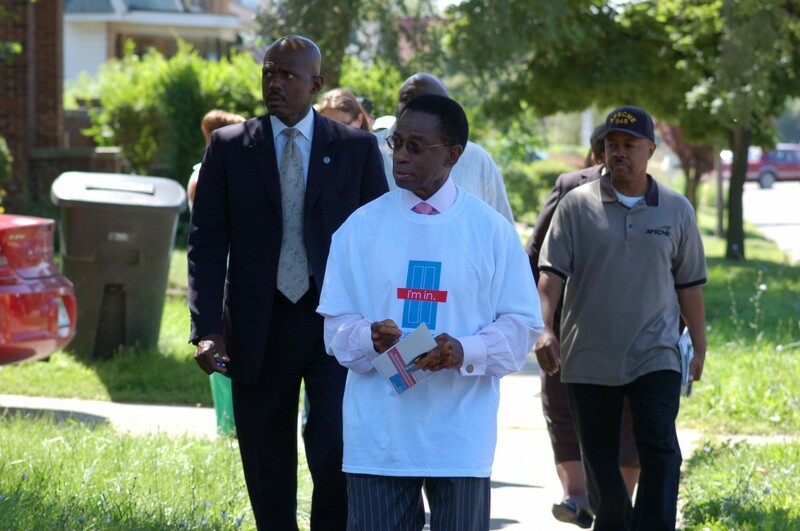 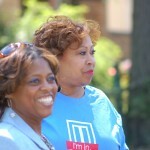 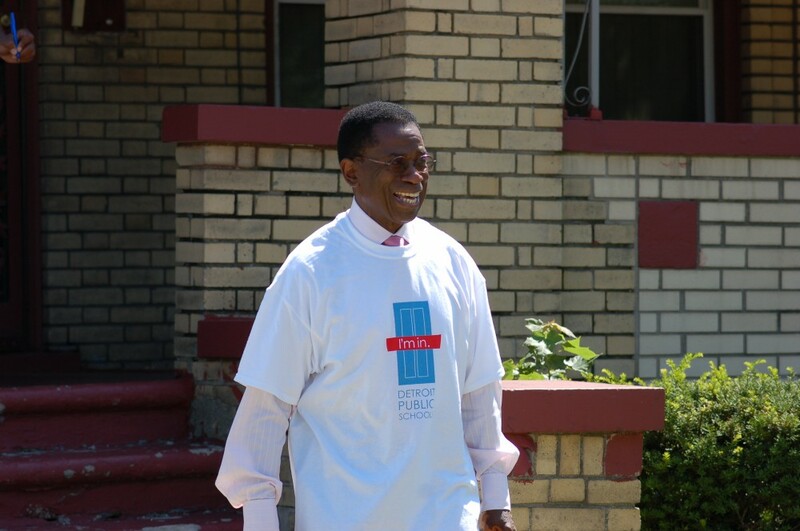 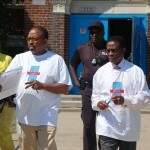 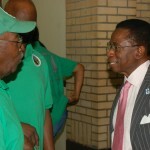 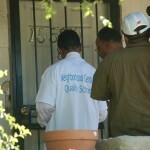 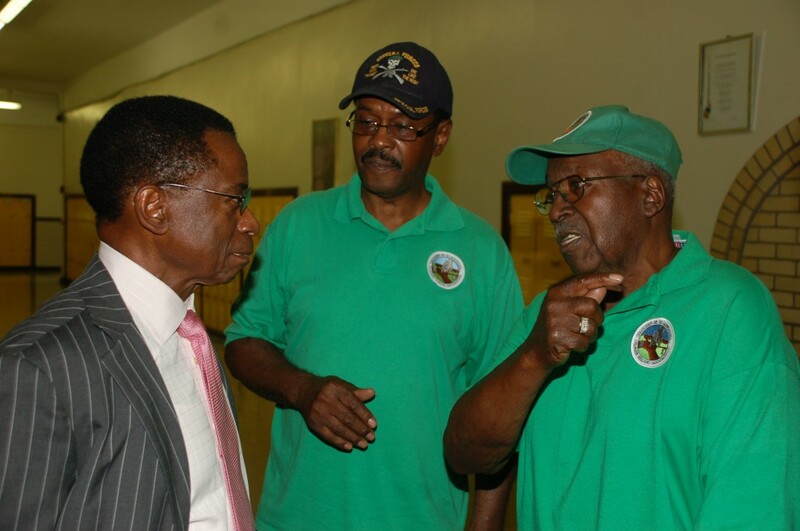 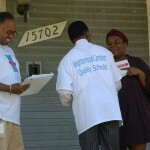 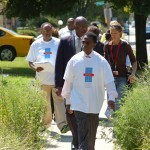 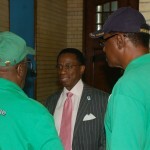 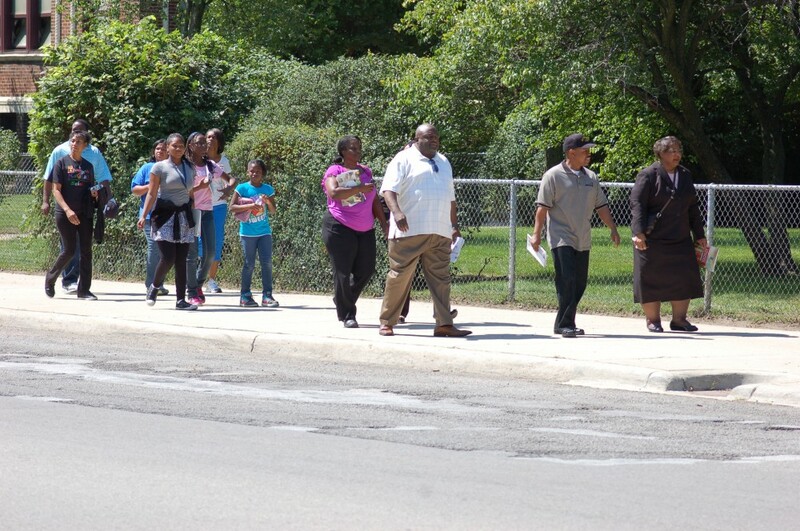 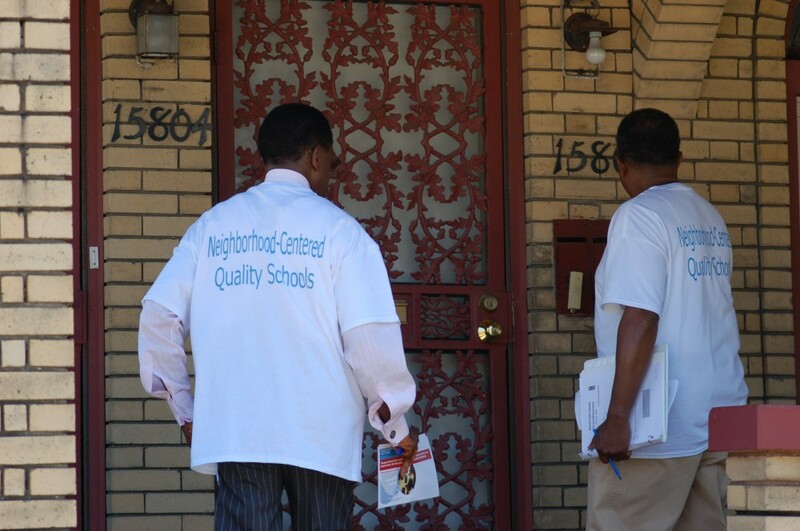 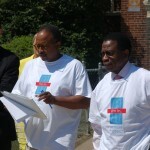 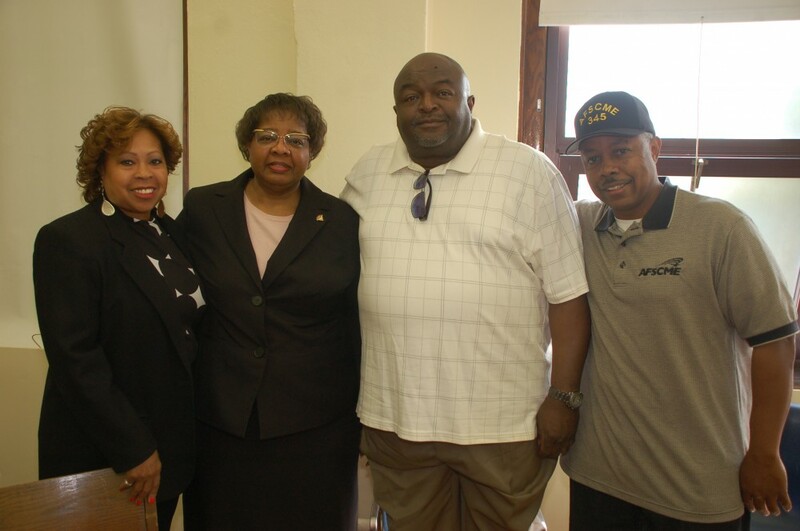 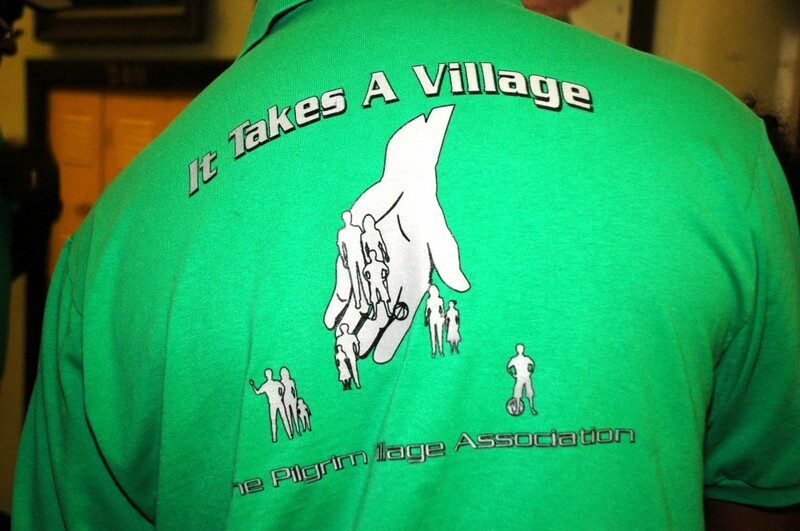 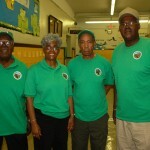 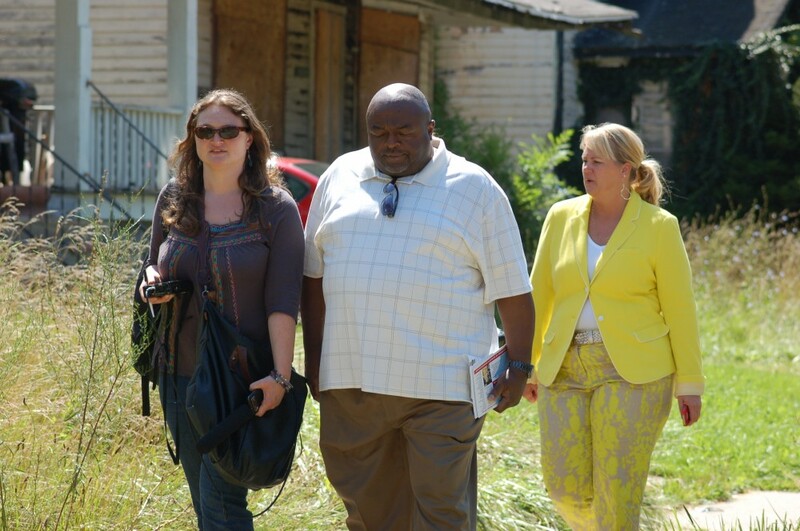 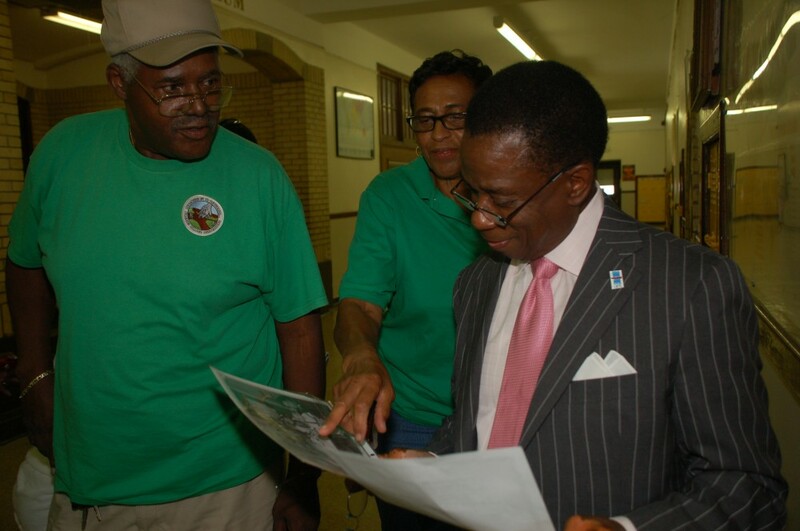 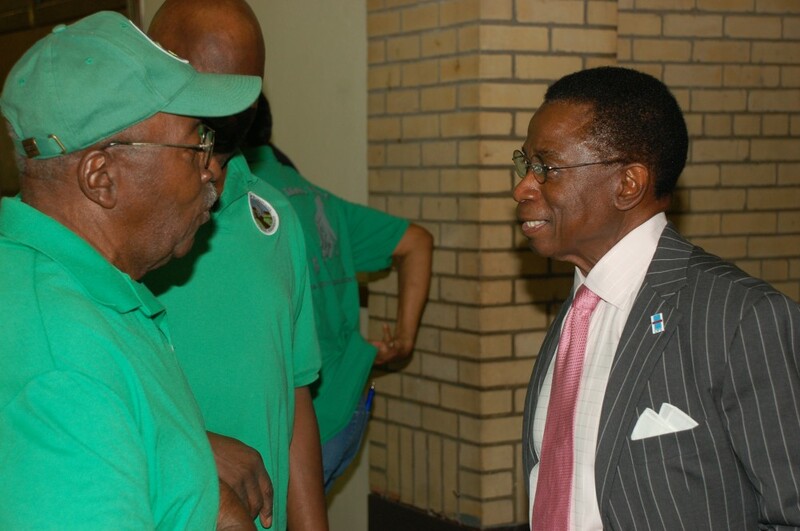 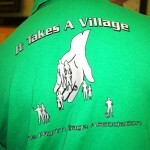 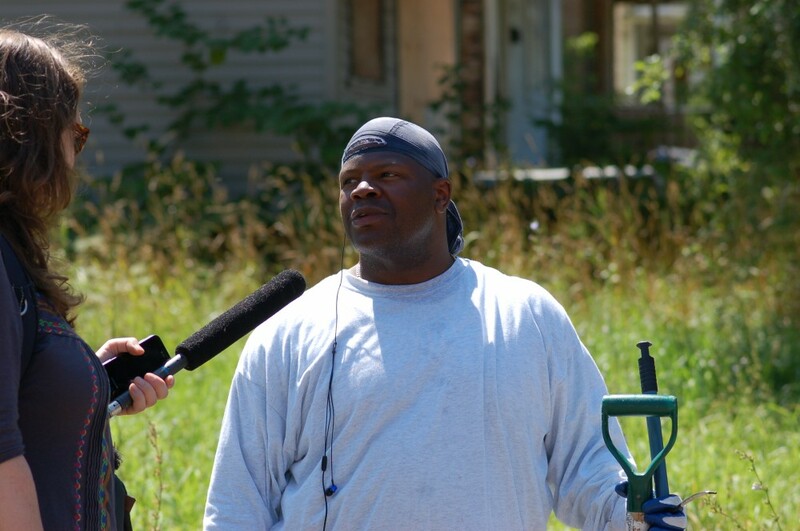 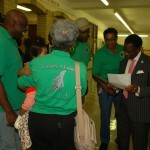 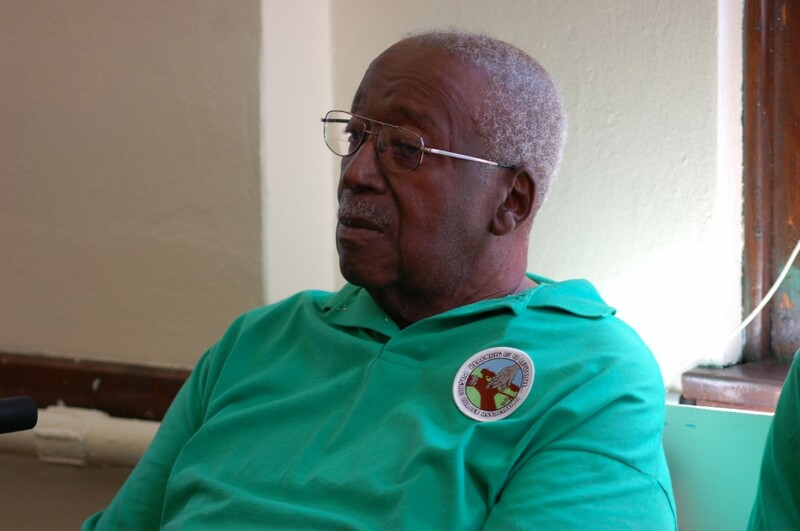 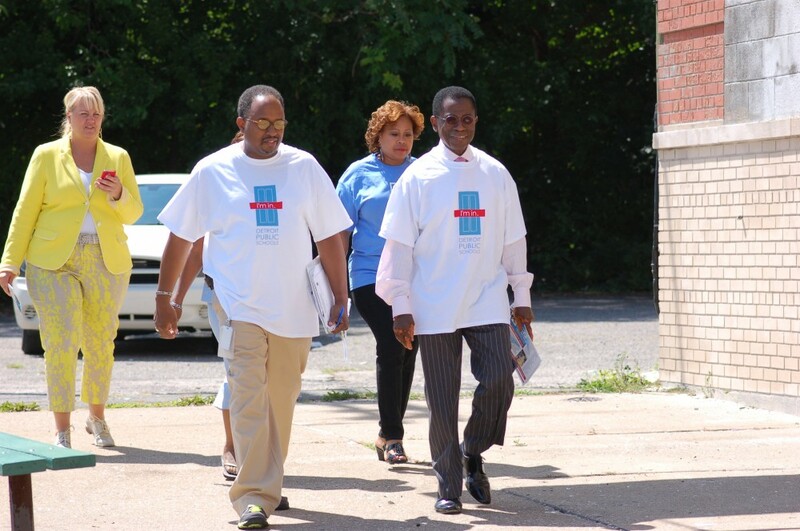 Mr. Martin and volunteers visited a number of homes in the blocks surrounding Thurgood Marshall. 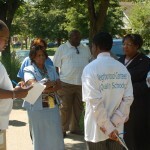 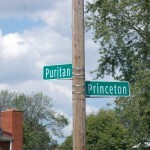 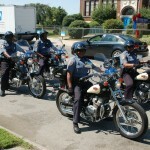 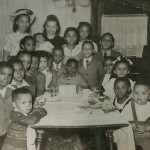 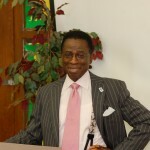 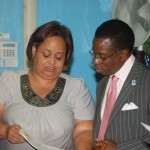 This entry was posted in Info News Center, News and Press Releases and tagged 077.